Diane Kitchen is an experimental ethnographer of indigenous life and keen observer of the natural world. Her films are once again available to rent from Canyon Cinema. Consulting the text of the natural world. Filmed in a spruce forest. Incidents, spontaneity and presence circle wildly in the natural world. In the deep woods the elements nod and sweep and seem to signal to each other. Incidents occur. Spontaneity. Foreground and background. Shifting perspectives. A vast scattered array pulls together and with it ideas of trees, wind, sun, and relationships. Breeze, shadow, and the flush of green. 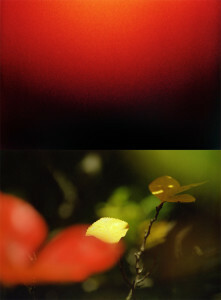 Effects of the sun move through the turning autumn leaves. Forces are in transition; the drama of ceaseless minute interactions. All of this light and life that goes into making up the earth, the ground, the sod. 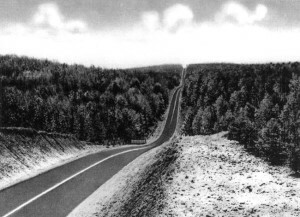 A fable, concerning the landscape and the open road, made up of postcards including Starved Rock, Little America, and the Silver Black Fox. Filmed on a return visit to the Asháninka in the tropical forest of eastern Peru. Moving in close to people who still live with the land, cook over fires and raise their children in the forest. Earth, river, animals, weather. Forces of turmoil and of nature. Forces that surround the senses at all times. A portrait of the Asháninka people who live in the tropical forest of eastern Peru, and a reflection on the experience of living and filming among people who continue to resist the standards of the modern world. Events are structured into a series of days and nights and move in and out of the family compound where we stayed.